Lady Liberty Comes Back to the City by the Bay! 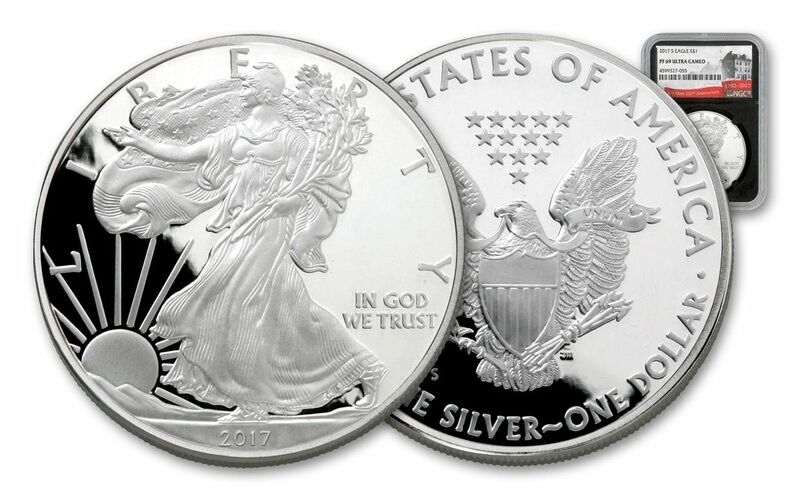 Collectors Cheer the Return of the "S" Mintmark to the Silver Eagle Proof! Since its opening in 1854, the United States Mint at San Francisco has developed a brilliant reputation for producing some of the finest-struck coins in the world. So when the American Silver Eagle series launched in 1986, it was only natural to mint the proof versions in "The City." However, this initial engagement only lasted until 1992 when proof production departed to Philadelphia and later West Point. 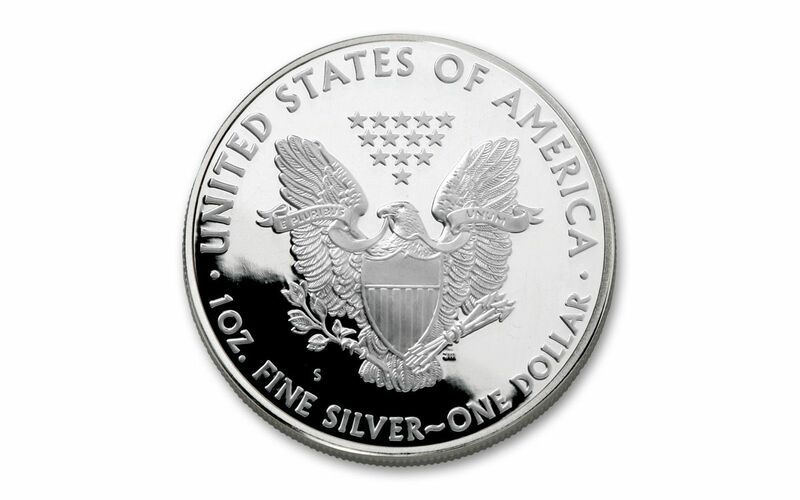 While the San Francisco mint has pitched in to produce bullion, burnished and reverse proof Silver Eagles a few times since 2011, the only San Francisco-made Silver Eagle Proofs in the past 25 years came in 2012. That is, until now! To celebrate the 225th anniversary of the United States Mint, the Silver Eagle Proof is striking back in the Golden City! Luminous Silver Proofs Featuring Timeless American Designs! 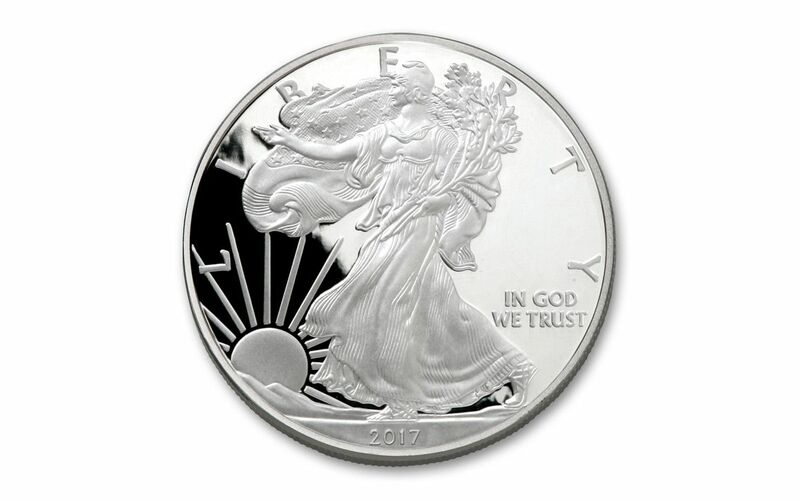 This 2017 Silver Eagle Proof continues 31 years of beautiful design, marrying Adolph A. Weinman's Walking Liberty with John Mercanti's heraldic eagle. The artisans at the San Francisco Mint hand-select the finest 99.9% pure silver planchets and use specially prepared dies to strike each proof multiple times. The result is a proof with incredible detail and luster -- especially one with a coveted "S" mintmark! Fantastic Features, Ready for Your Collection! 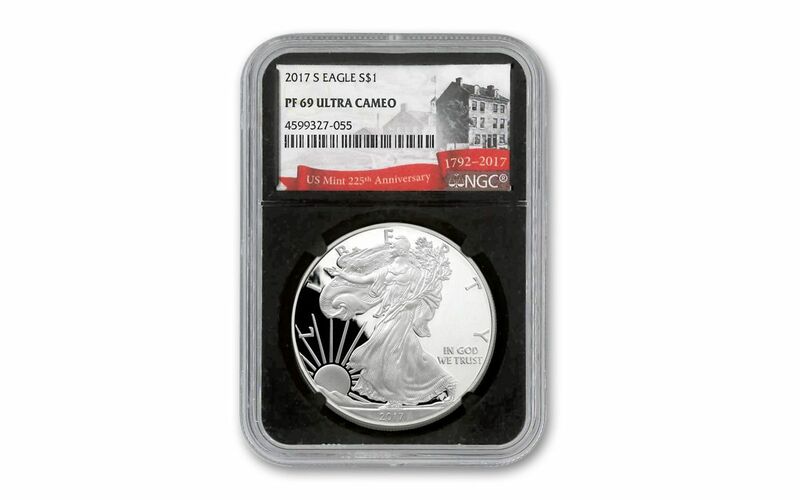 Your coin will be graded Proof-69 Ultra Cameo (PF69 UC) by Numismatic Guaranty Corporation (NGC), a distinction that means your almost-flawless Silver Eagle Proof will showcase an impressive full strike and indistinguishable imperfections -- well above and beyond the quality of the vast majority of proofs in the series. In fact, many collectors prefer the PF69 UC grade since it certifies recognized collector status for just a small premium above ungraded proofs. In addition, your Silver Eagle Proof will be sonically sealed in an acrylic case with a black core insert -- providing you the best in protection while giving you clear sightlines and perfect visual contrast for every beautiful detail. In 1987, NGC used this same color of display core when they started grading coins, switching to white as their default color soon after. Now, NGC has reintroduced this popular "retro" core color! Finally, all of your proof's unique characteristics will be described in detail on the acrylic case’s special 225th anniversary label, celebrating the founding of the U.S. Mint in 1792 and featuring an image of the first mint in Philadelphia. Past Silver Eagle Proofs minted in non-primary locations have been tremendous hits with collectors, and we're expecting the demand for this proof to be just as hot. Don't wait another second -- get in on this San Francisco treat today!